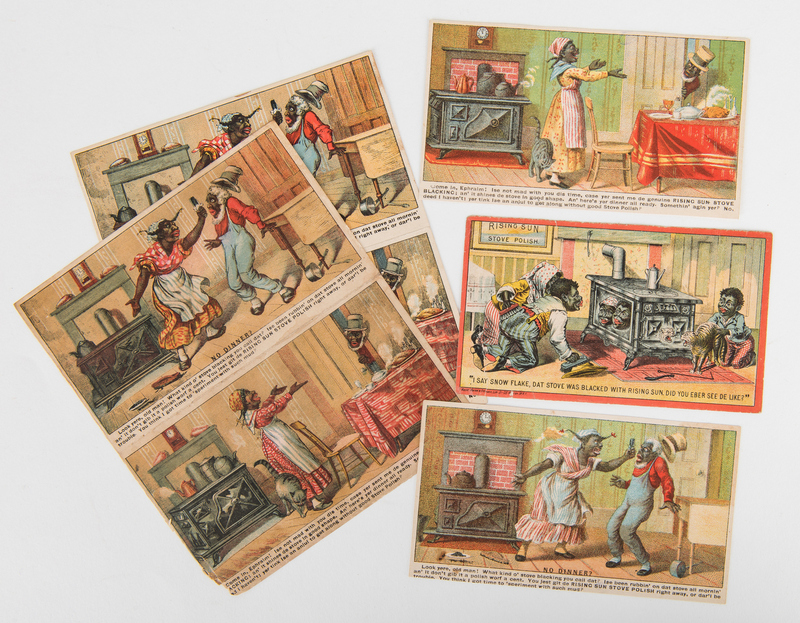 Approximately seven hundred and eight-four (784) stove, coal, furniture, hardware, assorted retail trade cards, business, and calling cards, including Black Americana and Native American subjects. 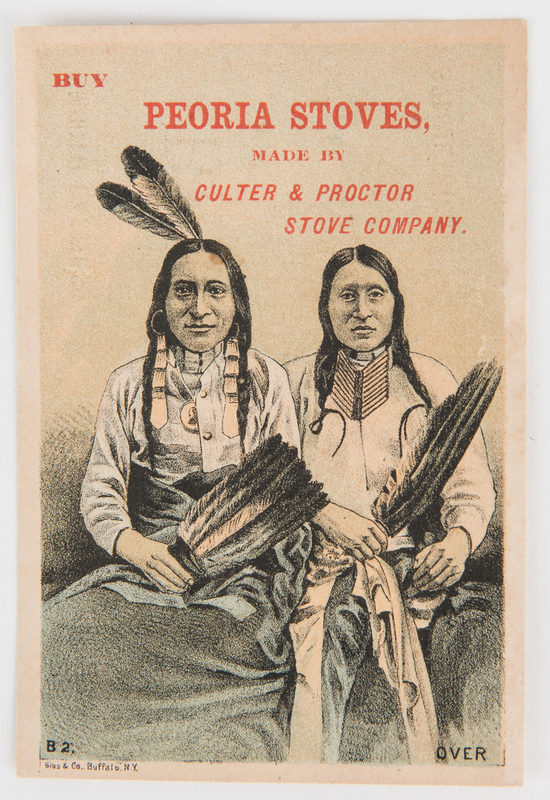 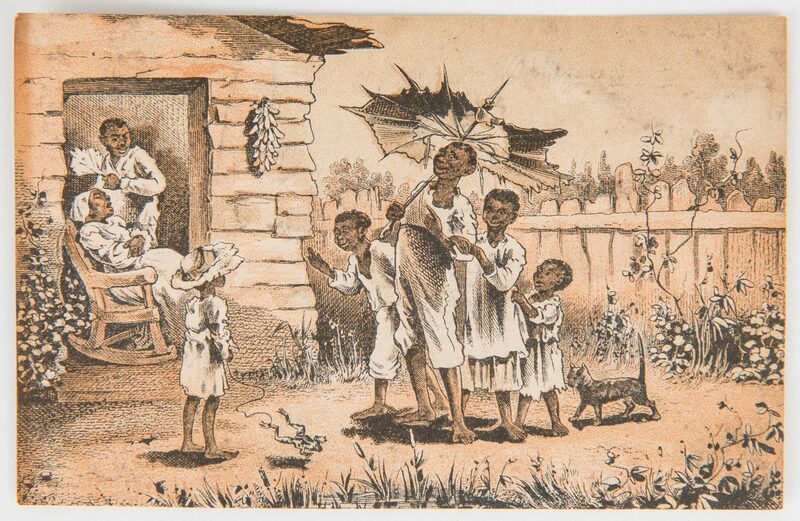 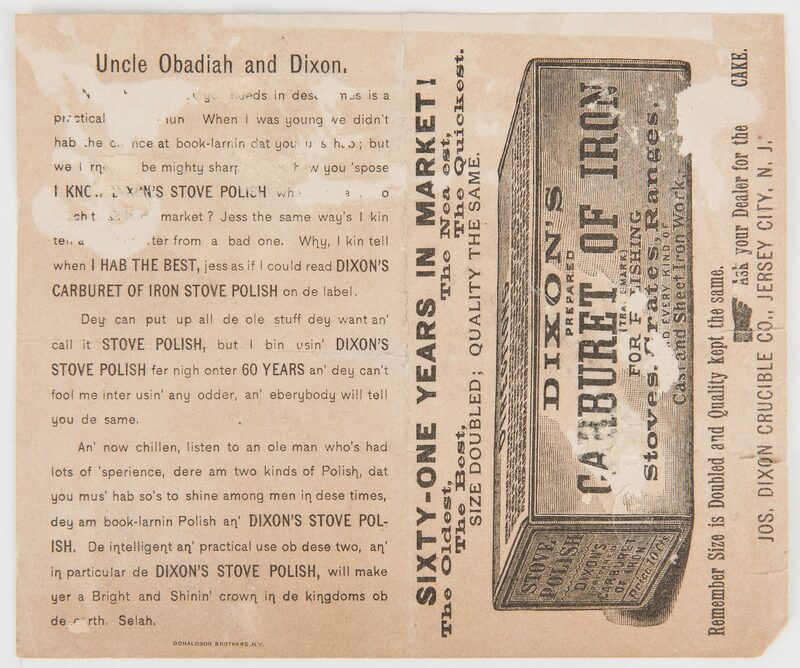 1st-242nd items: Approximately two hundred and forty-two (242) stove and range related trade cards and booklets. 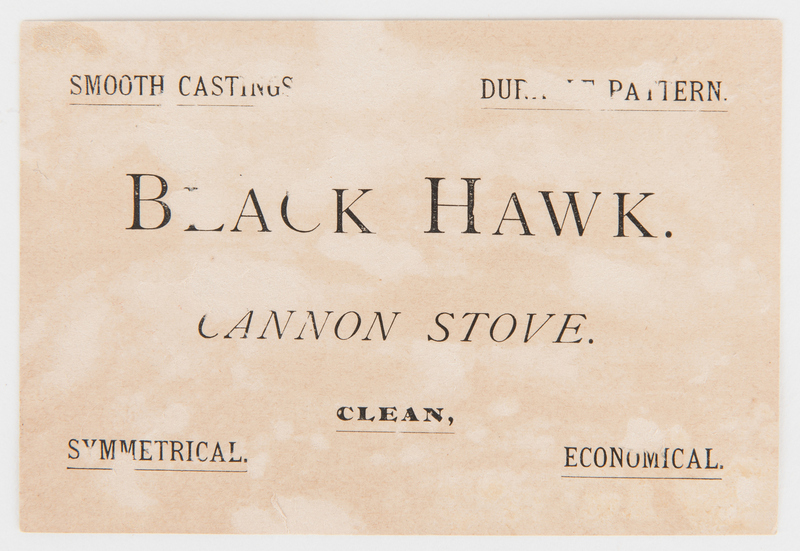 Includes thirty-five (35) Garland Stoves and Ranges cards, twenty-two (22) Charter Oak Stoves cards, sixteen (16) Golden Star Stoves and Ranges cards, fifteen (15) Rising Sun Stove Polish cards, thirteen (13) Peoria Stoves, eleven (11) Gold Coin cards, ten (10) Acorn Stoves and Ranges, five (5) Dixon's Stove Polish, two (2) Red Cross Stoves and Ranges, and more. 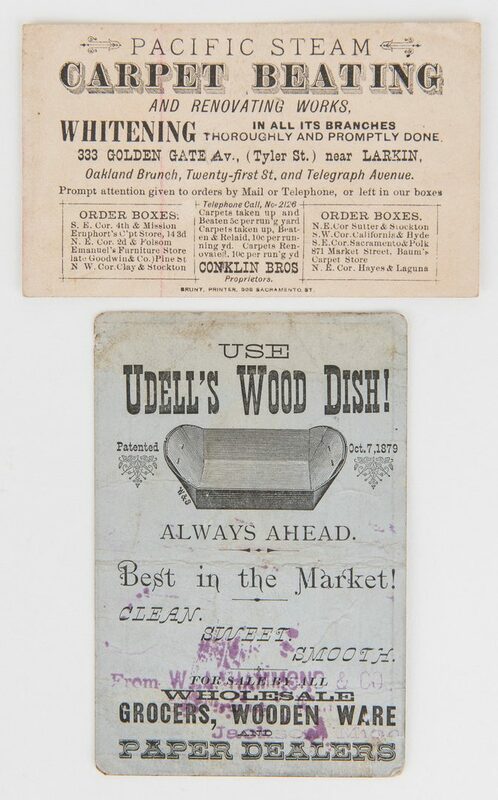 Items range in size from 4" H x 2 7/8" W to 7 5/8" H x 5 1/2" W. 243rd-595th items: Approximately three hundred and fifty-three (353) retail trade and calling cards. 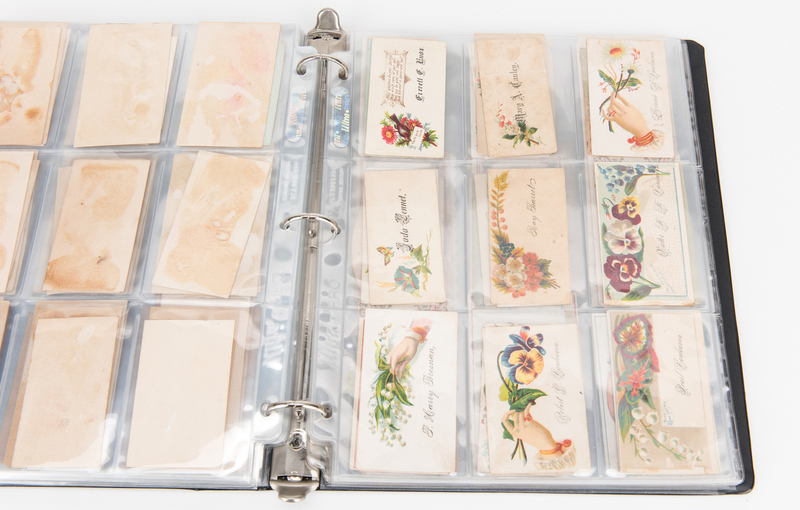 Includes seven (7) Horatio Staples card, five (5) Frank B. Ingalls' and Harry Hatch's cards, four (4) Robert Crawford, Jr. Florists cards, four (4) H.H. 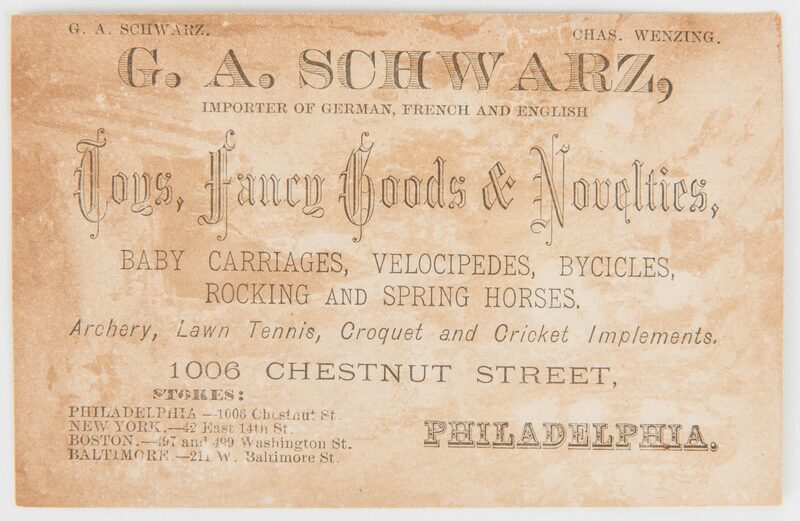 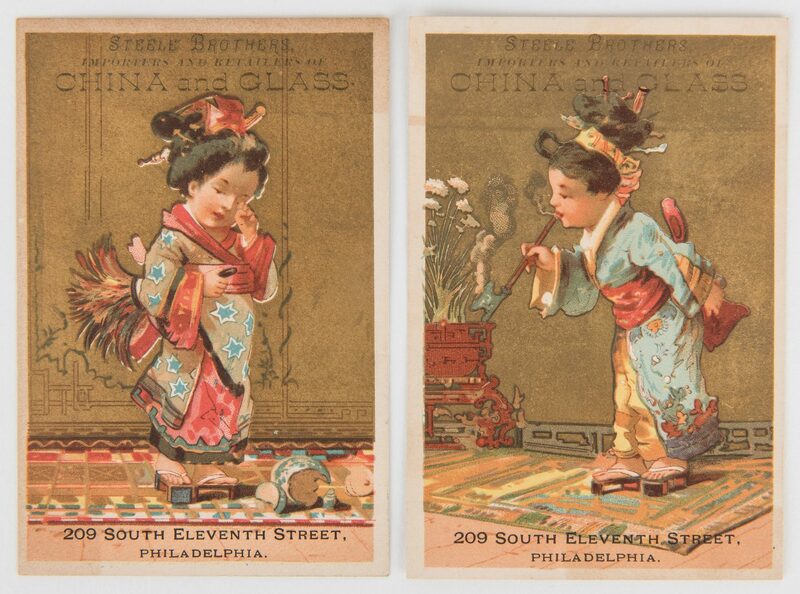 Gray's Sons cards, three (3) George A. Schmidt & Bro. 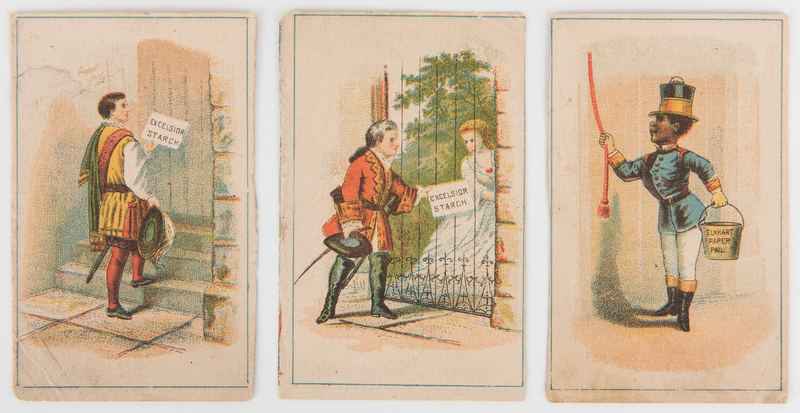 cards, and more. 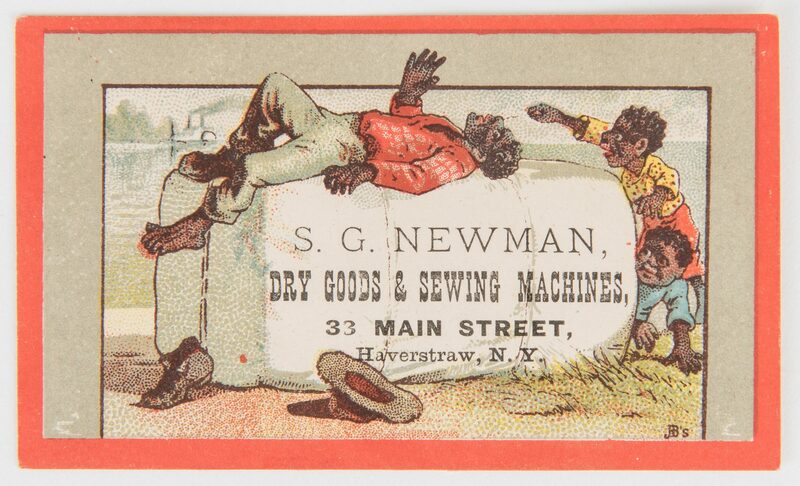 Cards range in size from 1 1/4" H x 1 3/4" W to 2 5/8" H x 6 1/2" W. 596th-784th items: Approximately one hundred and eighty-nine (189) assorted retail trade cards, booklets, and advertisements including coal, furniture, hardware, and other household and luxury items. 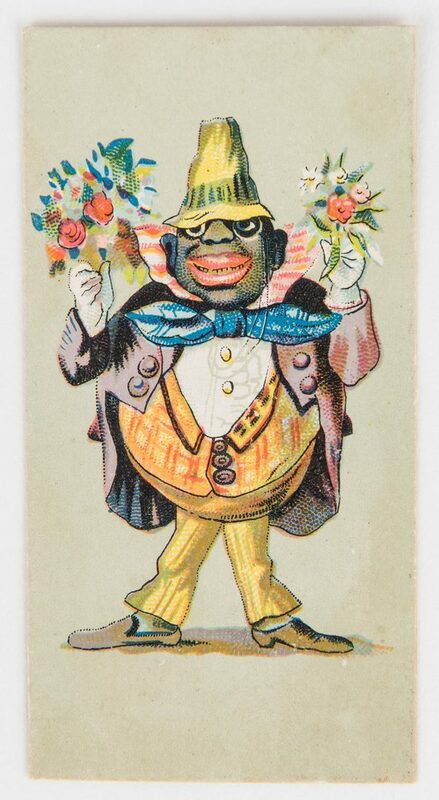 Includes ten (10) Peabody & Co Coal cards, four (4) Judkins & McCollough Carpetings cards, representing the four seasons, four (4) Palais Royal French Dolls cards, three (3) The Mitchell & Ramelsberg Furniture Co cards, three (3) Granite Ironware cards, three (3) Royal Glue cards, two (2) Steele Brothers China and Glass cards, and more. 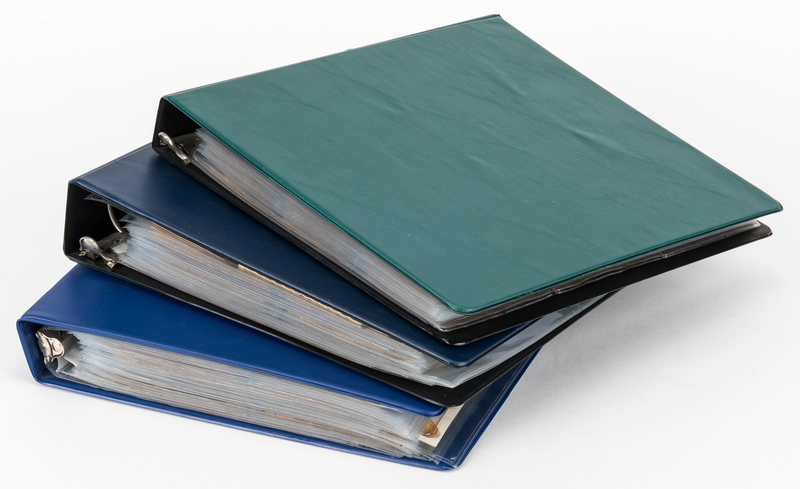 Items range in size from 3 1/2" H x 2 1/4" W to 10 3/8" H x 7 7/8" W. All items housed in three (3) three ring binders. 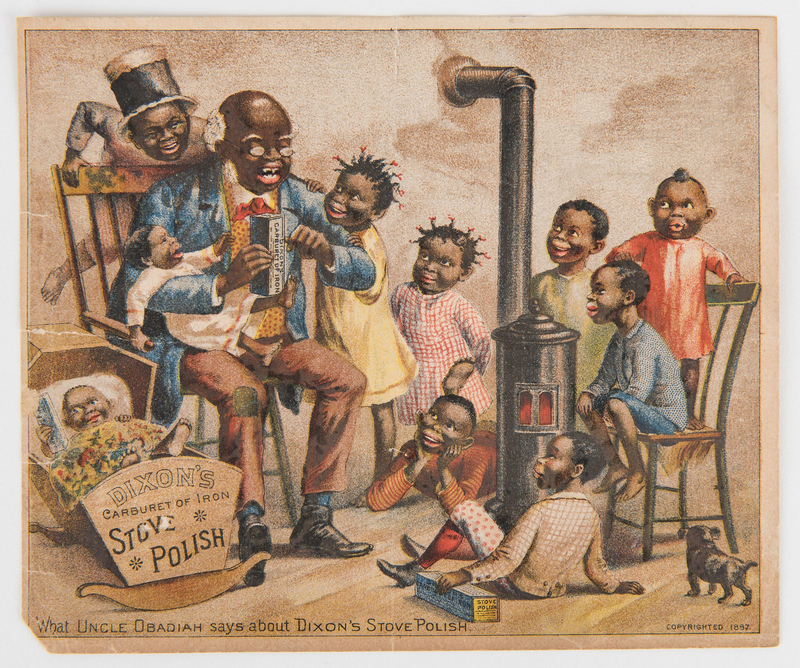 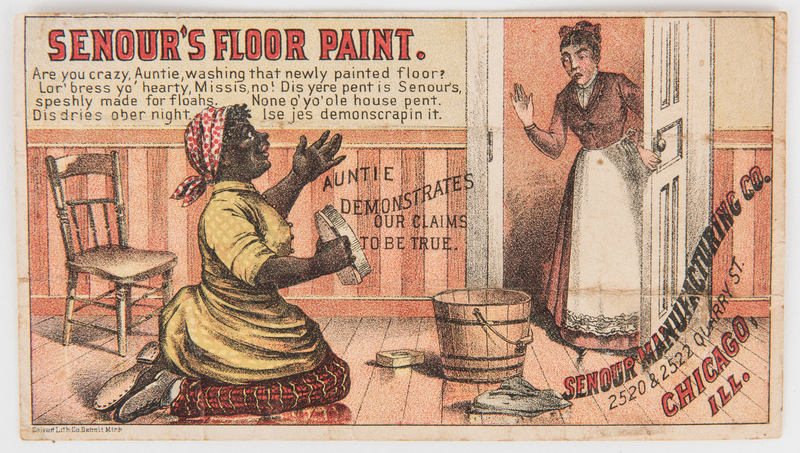 American, late 19th/early 20th century. CONDITION: Overall good condition with light fading and toning, errant pencil marks, creases, areas of loss, staining, etc. 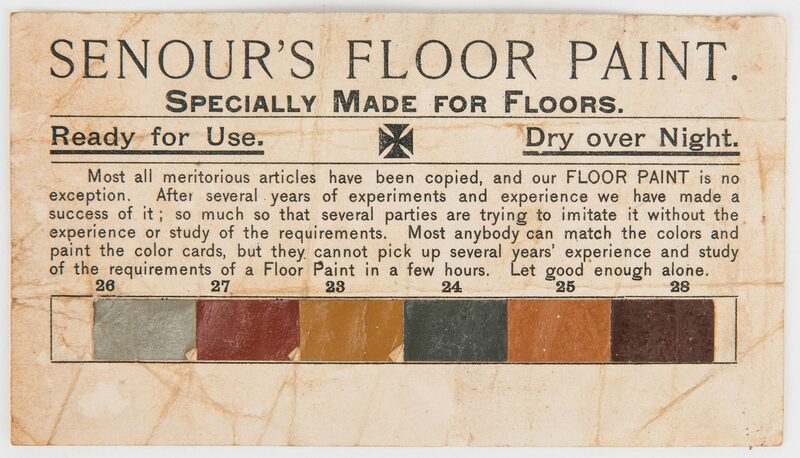 to be expected from age and manner of use. 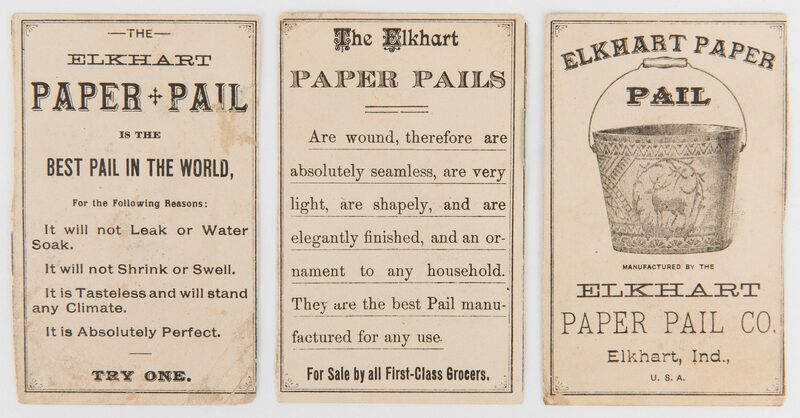 Includes duplicates of some cards. 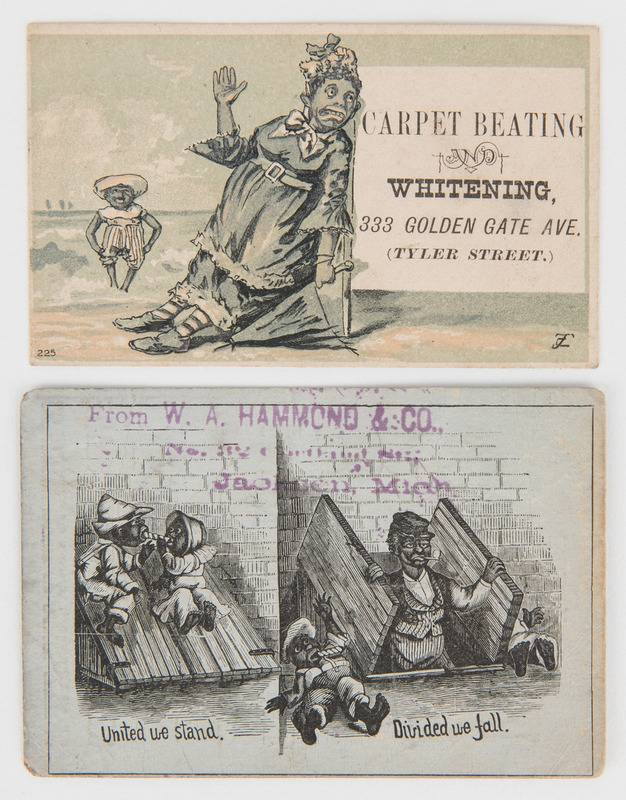 Some cards have been cut down.